Featuring balanced scoring that saw 11 of 12 players score, including four in double digits, the USA Men’s U19 World Championship Team rolled to an 86-75 victory over Argentina Wednesday evening in its warm-up game before the FIBA U19 World Championship that begins July 27 in Heraklion, Greece. "I felt like this game helped show where we are as a team, helps us get prepared and get us better as a team. It’s not all about the win or losses, it’s about getting us better," said 6-foot-10 Harry Giles (Wesleyan Christian Academy/Winston-Salem, N.C.). "Inside-out is a major factor for us. We’ve got good size so starting off by pounding them (inside) is good for our team and then we can start tossing it back out once they start attacking us. But I think most definitely we have a really strong inside game." Giles, who is one of three 17 year old players on the USA roster, led all U.S. scorers with 14 points and grabbed eight rebounds; guards Justin Bibbs (Virginia Tech/Dayton, Ohio) and Terrance Ferguson (Homeschooled/Dallas, Texas) each tossed in 12 points; and Jayson Tatum (Chaminade College Prep/St. Louis, Mo.) accounted for 10 points and six rebounds. Chinanu Onauku (Louisville/Lanham, Md.) just missed posting a double-double, and finished with nine points, 12 rebounds and three blocked shots; while center Thomas Welsh (UCLA/Redondo Beach, Calif.) finished with nine points, six boards and two blocked shots. Jalen Brunson (Stevenson H.S./Lincolnshire, Ill.) passed for a game-best eight assists. “I think every game that we play in this tournament is going to be like that (a grind it out game). 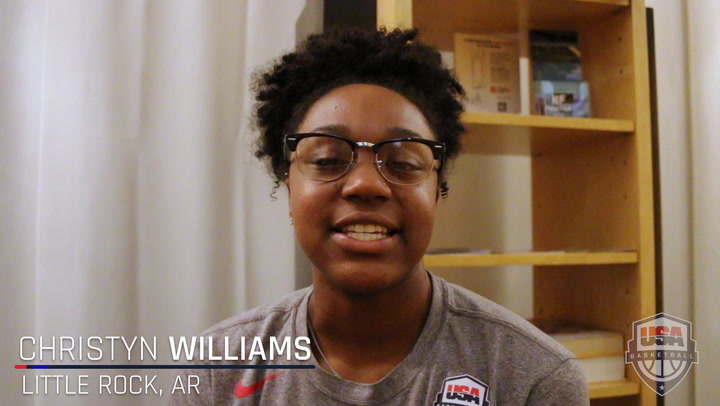 We have a very, very young group and in some cases the physicality of the two games we have played has affected us,” said USA U19 National Team head coach Sean Miller (Arizona). "The good news is I think every time that we play a game and every day that we’re together we have a great opportunity to improve. And that’s where we’re at right now. Early here, before the tournament begins, we’re on a quest to become closer and also a better team. “I think every game that we play in this tournament is going to be like that (a grind it out game). We have a very, very young group and in some cases the physicality of the two games we have played has affected us,” said USA U19 National Team head coach Sean Miller (Arizona). "The good news, I think every time we play a game and every day that we’re together we have a great opportunity to improve. And that’s where we’re at right now. Early here, before the tournament begins, we’re on a quest to become closer and also a better team. "I thought both friendlies, both scrimmages that we played, and last night obviously playing Greece here in Crete in front of a crowd was very, very helpful. We were down throughout the game and had a great fourth quarter. Today we were up throughout the game but we never could quite take it from that 10 points to 16 to 20, and a lot of it had to do with Argentina’s ability to move the basketball, shoot 3s, and spread us out. But there style tonight was much different than Greece’s style last night and I think both of them are very beneficial for us. Trailing by three, 13-10, with just over four minutes to go in the opening quarter, the U.S., behind Ferguson’s second and third made 3-pointers of the quarter, sprinted off on a 15-2 run that saw the Americans grab control 25-15 at the first quarter buzzer. Getting six points from Onauku during a 9-2 USA run that started the second quarter, the U.S. quickly opened a 34-17 advantage with 6:51 left to play before half. Argentina continued to compete, and after outscoring the USA 19-15 over the remainder of the quarter, at halftime the USA lead stood at 13, 49-36. Argentina twice in the third quarter cut the U.S. lead to seven points, but the USA answered on both occasions and at the end of three quarters the U.S. led 64-52. The fourth quarter was more of the same. Argentina reduced the gap to nine on several occasions, but never got closer as the USA went on to record its second exhibition game victory as many nights, winning 86-75 this time. "I thought we had a number of guys in moments play really well," added Sean Miller. "I don’t know if we had a player from start to finish have a great game and that’s part why the lead never went from 12 to 20, or 10 to 20. But Thomas Welsh came in the second half and I thought gave us some great minutes off the bench. Onauku in the first half I thought was as good as anybody on our team. The one common thread between the first two games is at the five position, Caleb Swaningan, Onauku and Welsh, their combined efforts at the five have been very productive. Committing 21 turnovers, the U.S. was credited for assists on an astounding 28 of 30 made baskets, and the USA for the second consecutive night controlled the glass, owning a 48-37 advantage. The U.S. shot 48.4 percent from the floor and 37.5 percent from 3-point, while Argentina was held to a chilly 36.1 percent shooting overall and just 26.7 percent from 3-point. The red, white and blue team also dominated in the paint, outscoring Argentina 42-30, and the U.S. bench outscored the Argentines 49-32. The USA U19 World Championship Team will conduct practices on June 25-26 in Heraklion, and will look to defend its 2013 U19 gold at the 2015 FIBA U19 World Championship that is being held June 27-July 5. 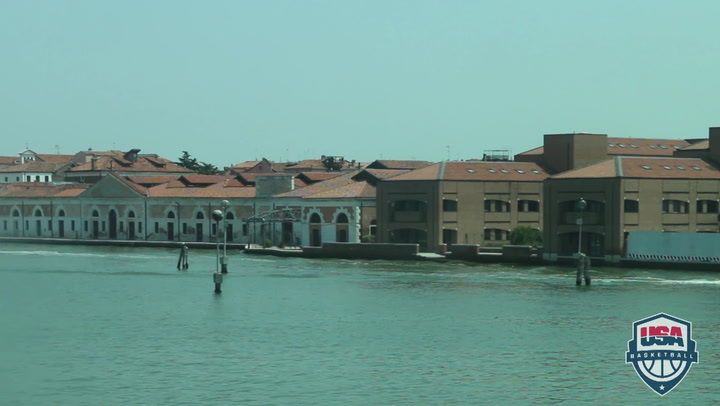 The American squad opens Group A preliminary play on June 27 facing Iran (10:45 a.m. EDT), plays medal favorite Croatia on June 28 (11:15 a.m. EDT) and finishes off preliminary play against Egypt on June 30 (9:00 a.m. EDT). Playing in preliminary round Group B will be Argentina, China, Spain and Turkey; Group C features Australia, Canada, Italy and Tunisia; and Group D includes Dominican Republic, Greece, Serbia and South Korea. All 16 competing teams advance to the round of 16 that will be played on July 1. The winners advance to the medal-round quarterfinals on July 3, while the round of 16 losers will compete out for 9th-16th places. The semifinals are on July 4, and the finals are on July 5. The 2015 USA Men’s U19 World Championship Team coaching staff is led by Sean Miller, and features USA assistant coaches Ed Cooley (Providence) and Archie Miller (Dayton). 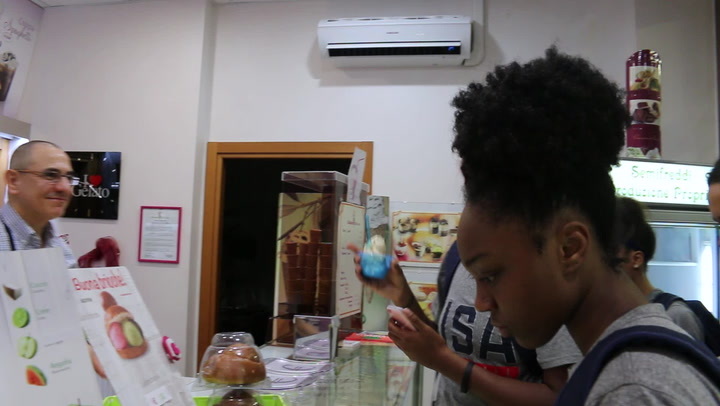 Prior to the start of the FIBA U19 World Cup preliminary round games, the USA women took a trip to Venice, Italy. 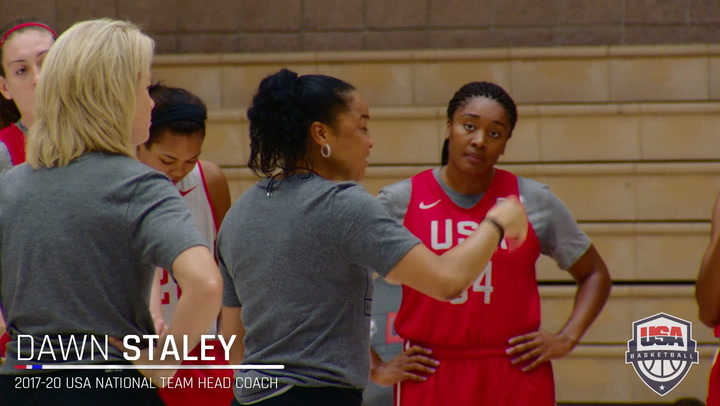 The 2017 USA Women's U19 World Cup Team strives for a seventh-straight FIBA U19 gold medal. 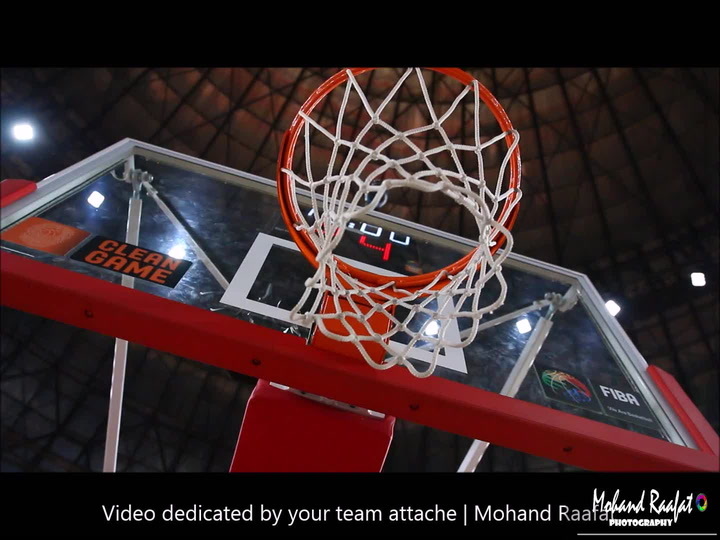 Mohand Raafat, the team attache assigned to the USA Men's U19 World Cup Team, shot and produced this video while the team competed in Cairo, Egypt, at the 2017 FIBA U19 World Cup for Men. Follow the work of Mahand Raafat on Facebook at Facebook/mohandRphotography and on Instagram at Instagram/mohandraafatphotography.